Explanation: Where do Perseid meteors come from? Mostly small bits of stony grit, Perseid meteoroids were once expelled from Comet Swift-Tuttle and continue to follow this comet's orbit as they slowly disperse. The featured animation depicts the entire meteoroid stream as it orbits our Sun. When the Earth nears this stream, as it does every year, the Perseid Meteor Shower occurs. Highlighted as bright in the animation, comet debris this size is usually so dim it is practically undetectable. Only a small fraction of this debris will enter the Earth's atmosphere, heat up and disintegrate brightly. This weekend promises some of the better skies to view the Perseid shower as well as other active showers because the new moon will not only be faint, it will be completely absent from the sky for most of the night. Although not outshining faint Perseids, the new moon will partially obstruct the Sun as a partial solar eclipse will be visible from some northern locations. 1/10 animation, ecliptic perpendicular to the galactic plane. Just kidding, it's quite beautiful. Wikipedia said the ecliptic is 60 degrees to the galactic plane. So what would you call that geometrically? Almost perpendicular? What confuses me is that judging by the rotation of the planets that the north pole is towards the top. Yet the 'thicker' central disc of the Milky Way, which I know can only be seen in the Southern Hemisphere, here is located in the Northern Hemisphere. Although they did get the location of the Large Magellanic Cloud right. Go to the link under "featured animation" and go full screen. Then in the upper left, select the "view" drop down and choose the second to last option "everything at once". Click and drag... zoom in and out... Here's hoping you've got a decent video card. Enjoy. The "featured animation" is quite busy, especially the "everything at once" option. Thanks for pointing it out Dan. Interestingly, there's a very bright and seemingly out-of-place object not far above the handle of the Sagittarius "Teapot" in the background sky (near the top of the picture as it opens, you may have to tilt the animation to see it). As best as I can tell, this is Jupiter in June of 2008. If so, Jupiter is in both the background sky and the foreground animation. Last edited by Joe Stieber on Wed Aug 08, 2018 5:13 pm, edited 1 time in total. This animation implies that the Perseid Meteor Shower would occur on the other planets in the solar system. Would this be true, assuming an atmosphere dense enough to allow for the meteor streak? Given the geometry, it seems the radiant would still be in the same general direction as Perseus. I'm confused about the orientation of the solar system and the Milky Way (as others are/were). When I look at the animation with the solar system edge on, it still looks like the Milky Way is perpendicular to the plane of the ecliptic??? but I've never been good at 3 dimensional puzzles. The animation is gorgeous nonetheless! This animation implies that the Perseid Meteor Shower would occur on the other planets in the solar system. No. The orbital plane of the Perseids is substantially different than that of the ecliptic. The Earth's orbit is the only one that intersects the Perseid debris cloud. 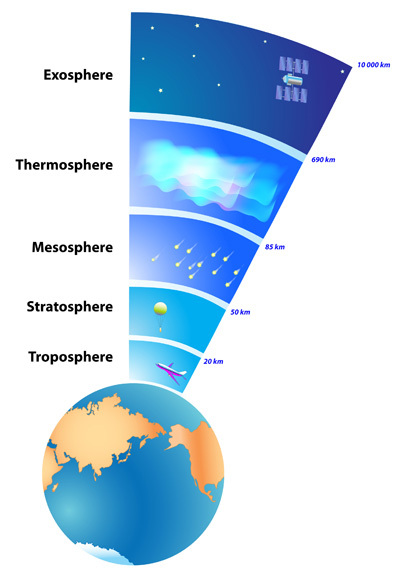 All the planets which have atmospheres also have meteor showers. But they are produced by different debris streams than those we encounter on Earth. I love this animation. It either "stood on the shoulders of giants", or took a lot of work to produce, I think. If I am not mistaken, every represented object in the foreground (except for the Sun, probably) is following a fine Keplerian orbit. And these are no doubt carefully built on current science data (This is Sparta! APOD!). Perhaps there is massive calculation going on to render those orbit positions. If so, then this is the first time I've seen an animation that taught me this feature of what an orbit would really look like ... if our eyes were able to see such a thing from such distances. This illusion did not occur when observing the comet debris; I could tell that they were gaining speed as they approached Sol and losing it again on the way out. But their orbits are much more elongated. There are thousands of meteor cameras operating every night around the world. When you have a meteor on any pair of them (or more), the orbit is automatically calculated. The CAMS system that collected this data is particularly high resolution, since it utilizes multiple cameras. But the technique is the same. It's not a terribly complex calculation to derive an orbit from a meteor track, and there are now libraries with millions of calculated orbits. That data goes into another fairly straightforward routine that renders a visual orbit from a set of orbital elements. There's a lot of data, which means a lot of calculations are going on, but that's all. BTW, there is some confusing language in today's caption. This is not the entire debris stream, but rather, particles which have already been destroyed by their collision with Earth's atmosphere- only the tiniest fraction of the entire debris stream. In reality, none of these particles should be seen surviving their encounter with Earth and coming out the other side. We're seeing their orbits as if the Earth were not there. This is not the entire debris stream, but rather, particles which have already been destroyed by their collision with Earth's atmosphere- only the tiniest fraction of the entire debris stream. In reality, none of these particles should be seen surviving their encounter with Earth and coming out the other side. We're seeing their orbits as if the Earth were not there. Earth's atmosphere (as in a political poll) in order to predict the larger overall stream. Wow, I didn't know they number in the thousands, nor that the number of calculated orbits would now be in the millions. I know that you contribute to this with meteor cams and computing that you have at cloudbait and elsewhere. I guess you're right to say: "fairly straightforward routine", and I suppose to animators this is all in a day's work. I don't know if there needs to be any specialization of rendering software to handle distances of millions of kilometers versus a room or a city block. Perhaps not. But it is still marvelous to me, for sure. One thing I assume the animation software did *not* do was to compute the time delay for light to travel from each object to the observer. That is one thing that would differ in an animation on this scale versus a scene in a room. I assume we would rather see them where we think they "really are" and not add that complication to the rendering. Also interesting that these are all ghosts! The Earth is at work, cleaning out Perseids, Leonids, etc. (doing its job as a planet). I don't suppose one could detect any "cleaned up" regions in the streams ... there is probably a lot of randomization filling back in.